Celebrating everything dog in life is so important to us, so of course home ware through the house is lovely to involve the furry ones too. Tails and Treats is the new rang of pet accessories from Silver Mushroom, who offer stunning quality kitchenware. Wonderful present ideas for dog [or cat] crazy friends, which are stunning to have around the home. 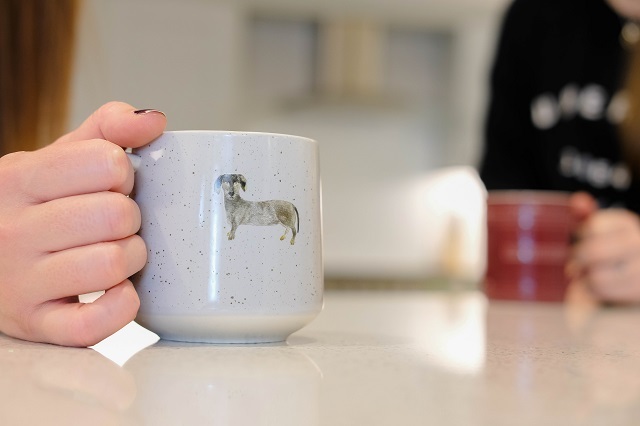 This style of mug is stunning, perfect for looking amazing in the kitchen and holding the perfect brew. 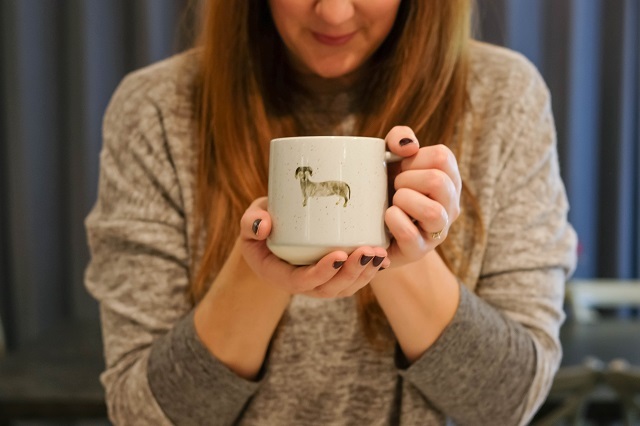 Of course the best gift for a daxie lover, but the mug is so lovely, any dog owner would appreciate it. We love the Mason plum mugs for a great set for the family. Dog food bowls really are not ones to look good, until now. Tails and Treats have the amazing food bowls, available in both small and large for all breed size. The ceramic grey speckled bowl is so lovely with the small paw detail inside, and would make any feeding time look better. 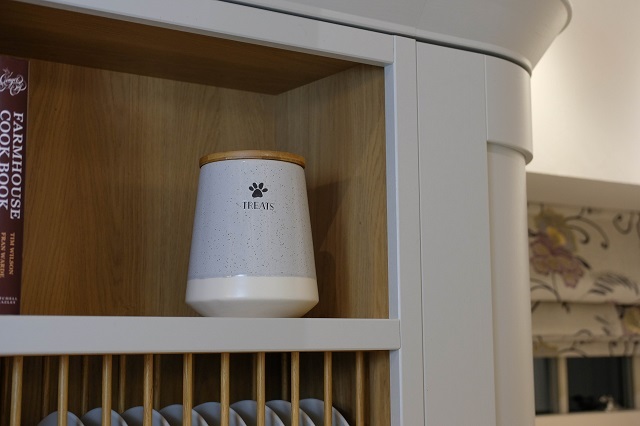 The large treat jar matches the dog bowls, with a grey speckled detail, along with the sweet paw print. 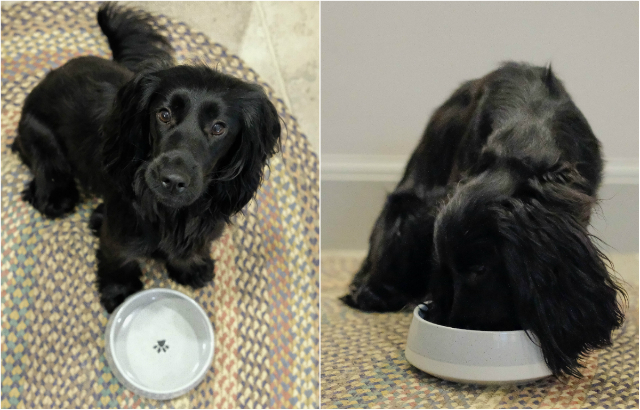 Being so large is perfect for all the treats Sev and Lily get spoilt with and the bamboo lid makes it even more beautiful to showcase in the home. What made you start the dog lifestyle range for the brand? We've been selling soley kitchenware for a while now, here at Silver Mushroom we strongly believe that the kitchen is the heart of the home. The kitchen is the place we gather in the morning, enjoy parties, meet everyone after work. It's a communal space where everybody wants to spent their time. We also believe that a house isn't a home without a dog, greeting us each day with their constant love and affection. Not wanting the dogs to miss our on precious family time,, we branched out into the dog lifestyle side of the brand to incorporate our lovely furry friends. Now being able to enjoy their meals out of stunning bowls, whilst you sip a cup of tea in the matching mug. In short, we just wanted to spread the homely love to our dogs, as they deserve a little luxury too. It's hard to pick just one, I them all. 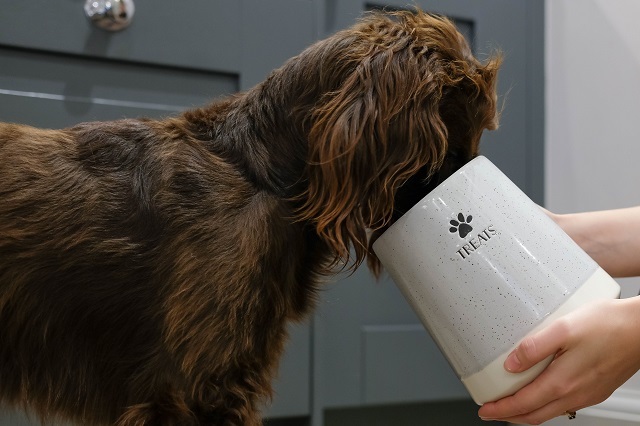 I think I would have to say the food bowl, simply because the neutral design matches any home, and the little paw print design is simple yet so sweet. Yes I do! I have three, Smokey and Bandit (yes, named after the film!) who are my lovely little Yorkshire Terriers and one Bichon Frise called Button. The three of them are completely inseparable. Who is the Tails and Treats range aimed at?Anybody who wants to show their furry friends the love. This range is simple enough to match any home interior and we're sure the dogs will love it too. The Tails and Treats range is also perfect for any pet lover, with something for everyone.